HeartMath : Science or Theater? 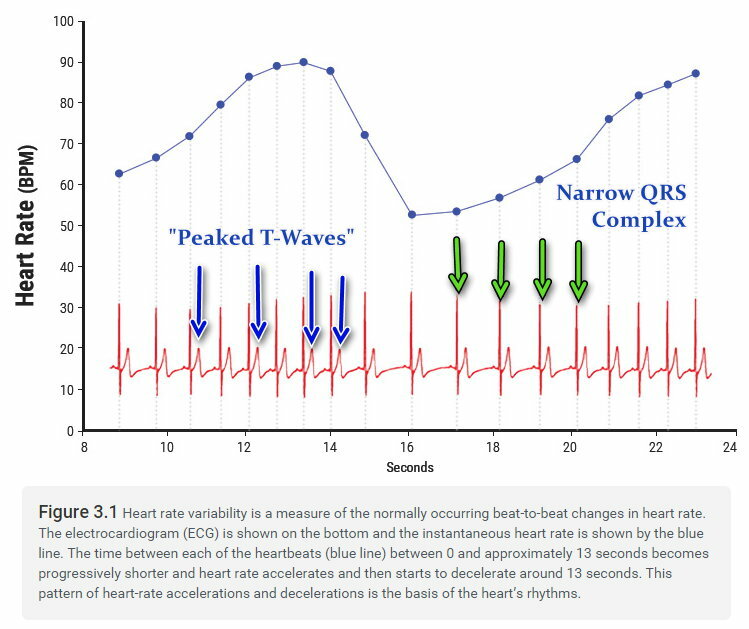 In the previous Article the effect of influenza on Heart Rate Variability began to be explored, as emWave2 "Achievement" levels began to go berserk. In addition, HeartMath techniques like "Quick Coherence" seemed to become 100% ineffective for attaining "Coherence." Now why would that be? Even though not clinicians nor pathologists, as far as we know, there is no hesitancy about mentionning diagnoses such as Hypoglycemia, Asthma, Migraine and Depression, yet nothing on a diagnosis as common as influenza. 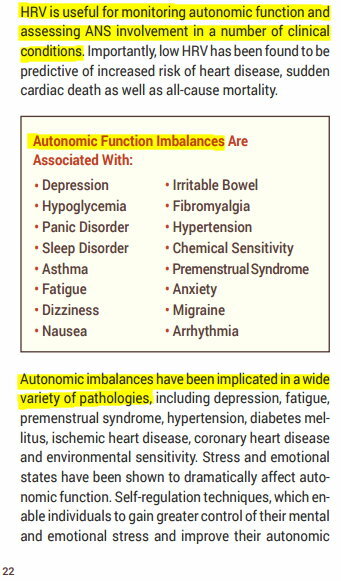 This is clearly a higher prevalence than many diagnoses selected in the list at right, yet autonomic imbalance plays a major role in influenza, as we shall see below, and effects the heart directly. Do they know that at HeartMath? No idea. But let's move on. Who says that influenza has any effect on the Autonomic Nervous System? Well, these folks for one: Host-Response-to-Influenza-Virus---Protection-versus-Immunopathology.pdf with a message being that while the virus itself can cause direct damage to respiratory passages like trachea and bronchi, with respiratory deaths being the most commonly assocaited with influenza, the host's response to the viral attack causes serious problems as well. This includes changes in Heart Rate Variability mediated via direct effeects on the Autonomic Nervous System as well as the cellular and cytokine components of the immune system. "Finally, our findings emphasize the delicate balance that the immune system must achieve in responding to viral infections. Unchecked rapid replication of IAV and other cytopathic viruses for just a few days would overwhelm the ability of the host to replace dead cells. On the other hand, an overly robust host response can cause collateral damage sufficient to enhance lethality. We show that the SNS can play an important role in innate autoimmune immunopathology and raise the possible benefit of α-adrenergic antagonist drugs for treating highly pathogenic IAV infections." 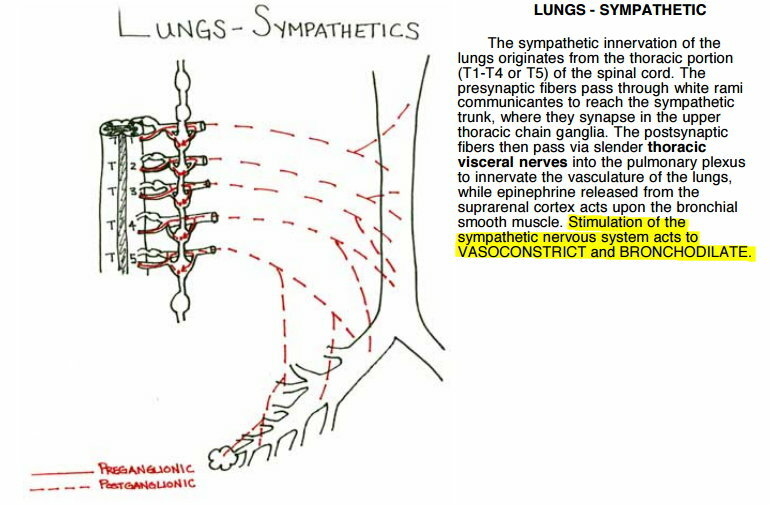 Here are some pencil drawings to better understand the related anatomy of the two components of the autonomic nervous system and what stimulating these nerves has as effects on the lung. This is quite critical in influenza where the pulmonary system is the primary system under initial attack by the virus. I don't recall ever seeing an aortic arch and surrounding vasculature that looked like that! Very strange anatomy, but perhaps an effect of too much "Coherence" practice? "Figure 3.1. Heart rate variability is a measure of the normally occurring beat-to-beat changes in heart rate. The electrocardiogram (ECG) is shown on the bottom and the instantaneous heart rate is shown by the blue line. 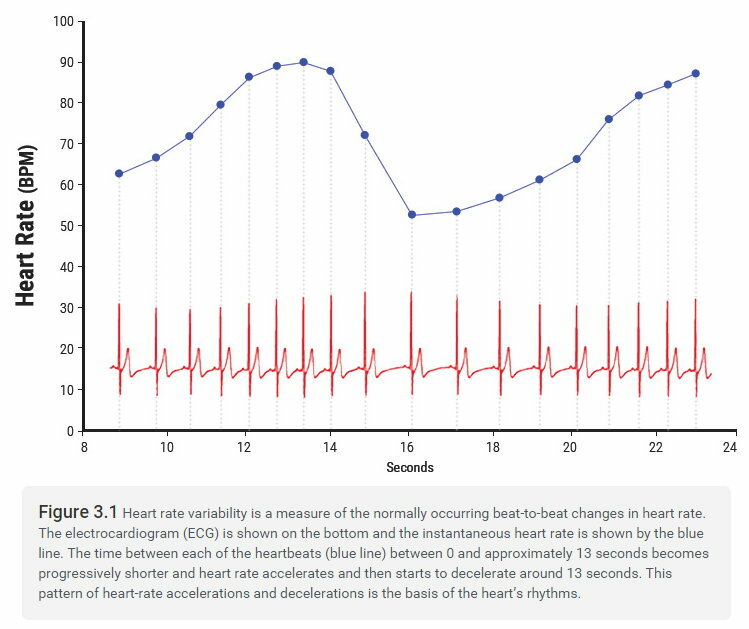 The time between each of the heartbeats (blue line) between 0 and approximately 13 seconds becomes progressively shorter and heart rate accelerates and then starts to decelerate around 13 seconds. This pattern of heart-rate accelerations and decelerations is the basis of the heart’s rhythms." When one speaks (or writes) of "heart rhythms," that term is is not used with reference to heart beats nor accelerations or decelerations as presented here. For example: one "heart rhythmn" is "Normal Sinus Rhythm." Another would be "Sinus Arrhythmia," or "Sinus Tachycardia." 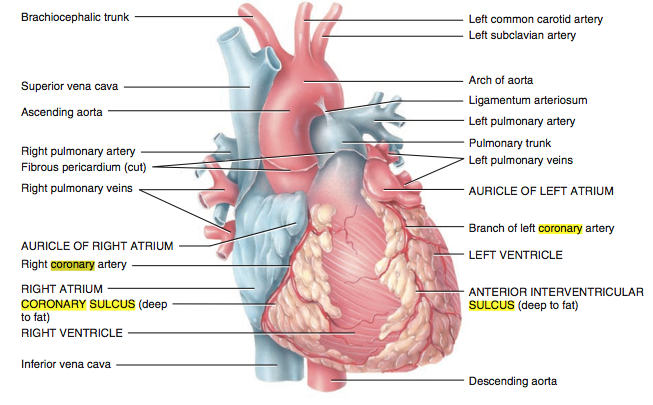 Other examples: "Atrial Fibrillation," or "Atrial Flutter," or "Ventricular Bigeminy," or "Ventricular Fibrillation." I could give other examples, but this may be enough to underscore that what Rollin McCraty, Ph.D. has written has nothing to do with "heart rhythm." Instead, it has to do with "heart rate." Is that important? Well, if you were a Medical Student, you would quickly learn to avoid confusing the two, and especially to avoid looking like a Bozo in front of one's peers. Then I couldn't believe my eyes. The ECG tracing (in red at the bottom) that he has selected to teach normal Heart Rate Variability, is anything but normal! What the ECG tracing shows is two things: 1.) "Peaked T-Waves" as indicated above. This finding is associated with hyperkalemia (too much potassium in the blood. And 2.) An extremely narrow QRS complex, as seen in hypocalcemia (too little calcium in the blood). So what? Well this isn't a good teaching tracing at all. First, go see if the patient is still alive. Second, draw a stat set of electrolytes to confirm what the actual blood levels are. Third, begin urgent treatment. Fourth, throw this graphic away, since it isn't teaching something normal, but something quite abnormal. What a surprise since Heart Rate Variability seems such a central theme at HeartMath. And here, for comparison, is a tracing that could be used to explain normal Heart Rate Variability but without the weird wave forms. While presenting page after page on Heart Rate Variability and the Autonomic Nervous System, how surprising to find that Dysautonomias (dysfunctions of the autonomic nervous system) and Tests for Dysautonomias do not figure among the "Autonomic Function Imbalances" that HeartMath addresses in their Science of the Heart, vol.2. Testing the autonomic nervous system consists of a well-established series of autonomic tests that are further described in these two references for those with additional interest. The first reference gives an example (quoted below) of a test that HeartMath has incorporated into its "Quick Coherence" technique (presented in the last article). "Deep breathing This test is based on the phenomenon of respiratory arrhythmia, which is most pronounced at the respiration rate of 6 breaths per minute. The subject is asked to breathe at this rate (with 5 s of inhalation and 5 s of exhalation per breath), and then the difference between the average of the largest accelerations during inspiration and the average of the largest decelerations during expiration is calculated. It should not be lower than 10-15 beats per minute [1, 20, 21, 27]. Respiratory arrhythmia declines with age. After the age of 50 this difference should be at least 5 beats per minute ." This test is but one of many tests presented in the 1st article above. 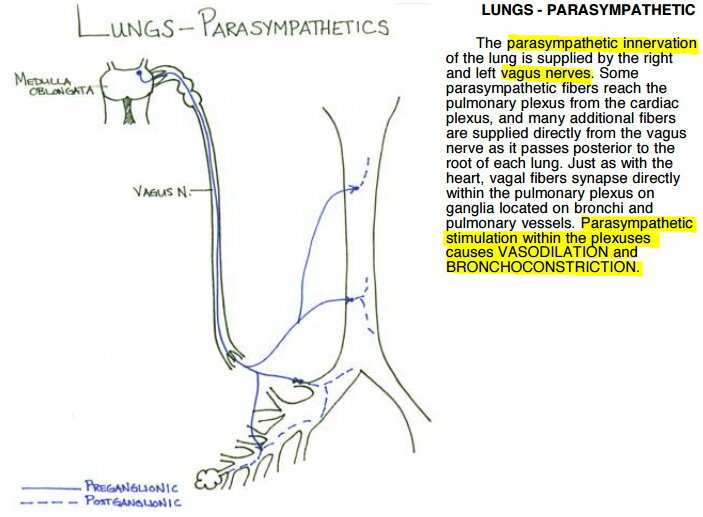 This particular respiratory test has been known and practiced for years in evaluating dysautonomias. No, it did not originate at HeartMath. What was or was not developed at HeartMath is not always clear. HeartMath seems a peculiar blend of Science and Theater. 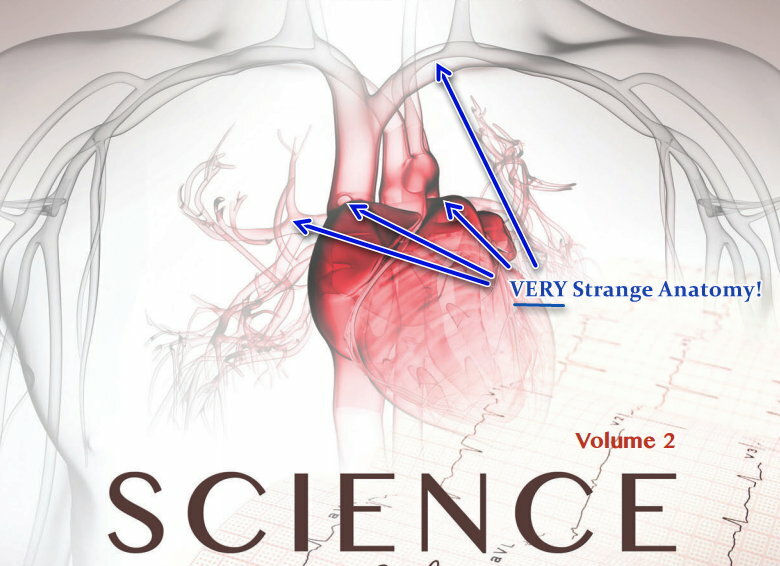 Probably not a coincidence, while studying Science of the Heart, vol2., I came upon a reference to another member of the HeartMath team: Bruce Cryer. "Bruce Cryer has stepped into a new role as Global Director - HeartMath HealthCare in order to recognize his passion and commitment to health care and patient care and his desire to focus his efforts into this area. For twenty years, Bruce has been instrumental in helping the HeartMath organizations grow from a start-up to an emerging company with a global impact. By taking on this new and vital role Bruce will dedicate time to share HeartMath programs and their applications to communities, institutions, patients, and health care systems worldwide. Everyone at HeartMath thanks Bruce for his dedication to HeartMath and is grateful for his continuing passion in advancing HeartMath programs and goals throughout the world." So to have evolved this level of dedication to patient care, Bruce Cryer must certainly be a physician, or at least a lab technician, or X-Ray technician, or Nurse, or electrical engineer, or, or, ... well, no. None of the above. Bruce Cryer has a B.A. degree in Theater Arts from Oberlin College (1971-1974). He also liked to study French when at Milburn High School (1969-1971). "I was a professional actor, singer and dancer in New York from 1973 until 1978. I appeared both on and off-Broadway in productions as varied as "The Fantasticks" to "Agamemnon" in "Shakespeare in the Park," to commercials for banks, bread, and chewing gum." But don't let me bias you the reader. Have a look at at least some of Bruce Cryer's presentation here below, noting carefully where he attributes certain domains like Heart Rate Variability to Institute of Heartmath and his work there. How can one possibly react to this? We will come back to influenza, HRV, the autonomic nervous system's response to influenza, but the HeartMath presentation of the Science of the Heart, vol. 2, was simply getting to be too much. "Nothing doth more hurt in a state than that cunning men pass for wise." Unfortunately, some of the webs being spun here are pretty sticky. One risks getting caught up in one's own crafty handiwork. Bench #3 Update : what does HeartMath emWave2 "Achievement" mean? The STP Lab. What’s That?